Disclosure: I received a sample for review purposes. All opinions are my own. This post contains affiliate links. I’ve jumped on the subscription box bandwagon! I love receiving surprises each month in the mail. I even got my 16 year old daughter and mom hooked on them after purchasing subscription box memberships for both of them for Christmas. I’ve recently come across another type of subscription box that I think you are going to love! 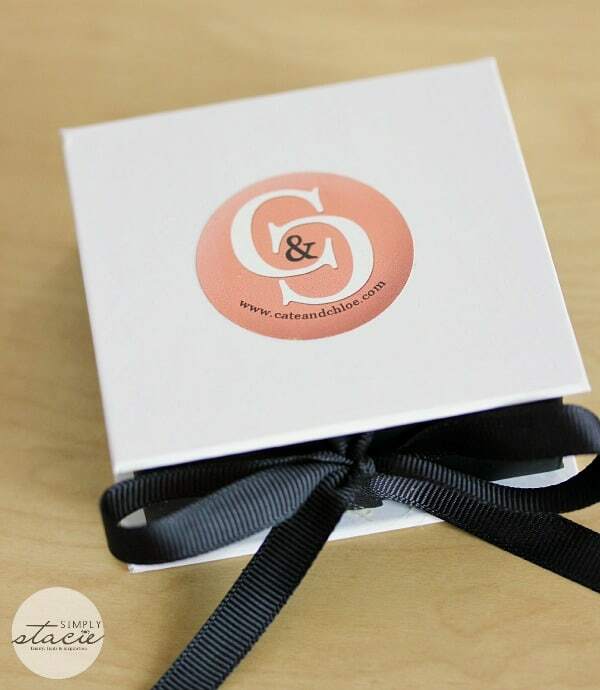 Meet Cate & Chloe, a stylish and affordable monthly jewelry subscription box company! If you love to accessorize and always look your best, you will want to take note. The vision of Cate & Chloe is to offer their subscribers beautiful and affordable jewelry perfect for everyday wear. What I love about Cate & Chloe is their focus offering quality, timeless pieces that can go with many looks – from dressing down in yoga pants around the house to a glamming it up for a night on the town. Take a quick peek at the jewelry at Cate & Chloe. I love the simple elegance! The VIP Program is where it’s at! It’s their monthly subscription service where members receive two pieces of jewelry a month valued at $200 retail. The cost? Just $39.99 a month! Plus there are many other perks to being a VIP member like surprise bonus gifts and 20% off other Cate & Chloe items (including sale items). I received the February VIP Box from Cate & Chloe with my two pieces of jewelry with a bonus gift! Each items is presented beautifully in Cate & Chloe boxes or velvety drawstring bags. 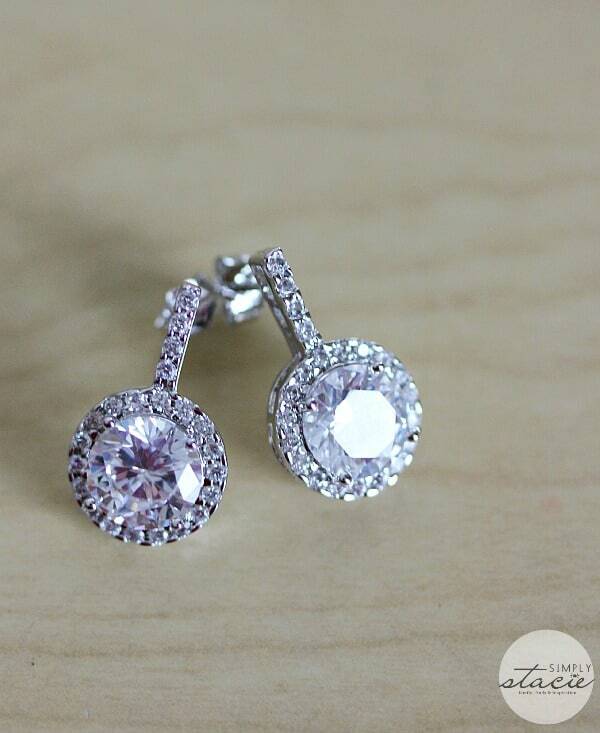 The Hallie “Hero” 2ct Sterling Silver Earrings (ARV $135), a drop stud earring with a glittery cubic zirconias. They are stunning! I love how they shine when they catch the light. I plan to wear these earrings on our next date night. The Ashlyn “Harmony” Necklace is very pretty. 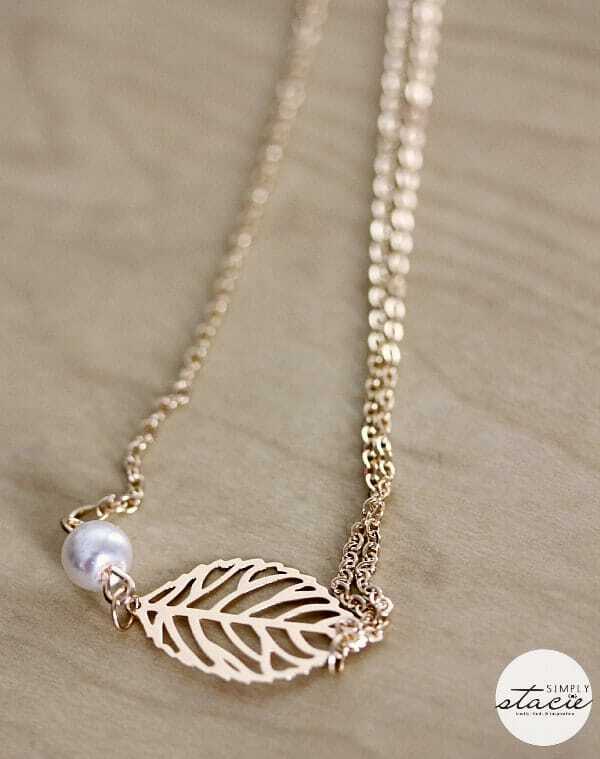 It has a petite pearl with a simple leaf design. I like it for day-to-day wear. It looks nice with a simple t-shirt or sweater. My surprise gift were these Heart wine charms. At first I thought they might be earrings, but upon a closer look, I realized they were for wine glasses. Simple and pretty! 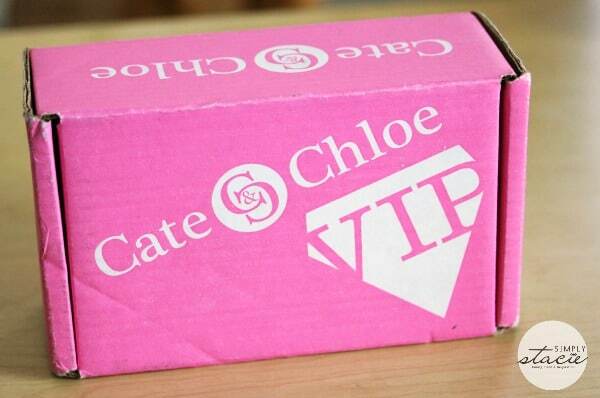 Become a member of Cate & Chloe to start receiving their monthly VIP Boxes for a cost of $39.99. Remember that includes two items at $200 retail value plus surprise bonus gifts! They ship the boxes on the 1st of every month. I noticed it was fast getting to me even living in Canada! Try it out for a month to see what you think or purchase one of the prepaid plans to receive a discount. I’m thinking ahead to Mother’s day for a possible gift for my mom. I think Cate & Chloe is just her style and she would love to receive a gift that keeps on giving month after month! My favorite item is the Taylor “Honor” Bracelet . I like the Erika set. My favorite item is Shamballa 3 Pave Crystals . I like the Zoe “Life” Interlocking Ring. Thank you!! Zoe ring- because thats my nieces name! My favorite item is the Vicky “Goddess” Teardrop Necklace . 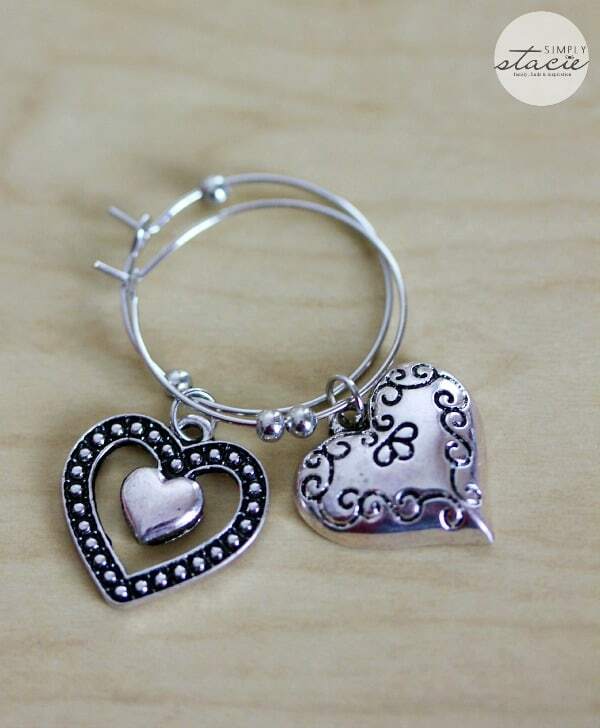 I love the Beth “Beloved” Heart Drop Earrings. I LOVE the Cora “Fair” Statement Necklace in teal. It’s stunning! I love the Claire Full of Light Stud Earrings! I love the Jean “gift, gracious” Bangle! Thanks for the chance to win! I like the Nikki “Victory” ring. I love all of the Rose Gold collection, especially the Elise “Dignified” Rose Gold Bracelet. I like the Stacey “Stable” Hoop Earrings. I wear earrings all the time. These look so elegant. My favorite is the Leah “Delicate” Pearl Pendant Necklace! Samantha “Blossoming” Bangle would be my favorite piece listed. Darlene “tender love” Intertwined Heart Necklace is so beautiful love all their pieces. I love the Stephanie “Victory” Ring – 7 . The June Youthful stud earrings. The Naomi “Beauty” Heart Necklace is my favorite. Adelaide “Noble” Statement Necklace. Love the teal one. I like the Nicole “victorious” ring. I absolutely like the Shaena “Beautiful” Hoop Earrings in Rose Gold. I really like the Nereida “Of the Sea” Statement Necklace – Blue and Teal! I liked the Anne “Graceful” Ring the most of all of the items from C&C. I like the Maddy “Young” Heart Drop Earrings.